Honoring All Veterans… Past, Present, Future & Our Very Own!!! We wanted to take this time to sincerely thank all Veterans for everything you’ve done for us individually and as a nation! The Bone & Joint Institute of South Georgia is blessed to have five Veterans on staff including: Dr. Matthew Valosen (Army), Dr. Amber Aragon (Army), Angela Roberts (Air Force & Army), Ceci Mook (Army) & Rhonda Landon (Navy). 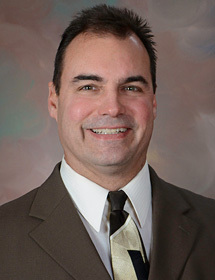 Dr. J. Matthew Valosen joined the Bone and Joint Institute of South Georgia (BJISG) after beginning his career as a U.S. Army Orthopaedic Surgeon. He was previously the Chief of Orthopaedic Surgical Services at Winn Army Community Hospital in Ft. Stewart, GA.
During his military service at Ft. Stewart, Dr. Valosen became the chief of the orthopaedic surgical clinic, was deployed to Iraq where he was awarded the Bronze Star, and implemented many advances in specialty musculoskeletal care for the Army soldier. In 2001, Dr. Aragon joined the U.S. Army under the Health Professions Scholarship Program. She earned her M.D. degree from Meharry Medical College in Nashville, TN, in 2004, where she was inducted into the Alpha Omega Alpha Honor Society, and graduated first in her class. Dr. Aragon served five years at Winn Army Community Hospital at Fort Stewart, two years of which she served as chief of the orthopaedic surgery service. She was deployed to Afghanistan in 2013 as the only trauma orthopaedic surgeon of a forward surgical team. Monica Carrion-Jones, MD joins BJISG! August 8, 2016 – JESUP, GA – We are pleased to welcome Dr. Monica Carrion-Jones to our growing BJI Family! Dr. Monica Carrion-Jones is a dual-board-certified physician in Physical Medicine and Rehabilitation (PMR) as well as Electrodiagnostic Medicine. She graduated from the University of Panama Medical School. After completing her residency at Mercy Hospital of Pittsburgh, she completed an Electrodiagnostic Medicine Fellowship at the Medical College of Wisconsin. PMR is a medical specialty concerned with diagnosis, evaluation, and management of persons of all ages with physical and/or cognitive impairment and disability. Dr. Jones’ offers a variety of non-surgical treatment options including nerve conduction studies and EMG’s, therapeutic injections, and Botox injection therapy for chronic migraines, cervical dystonia, and spasticity. 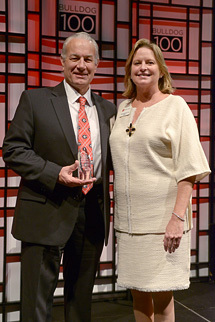 February 3, 2016 – JESUP, GA – The Bone & Joint Institute of South Georgia and founder and co-owner, Dr. J. Lex Kenerly, were recognized by the University of Georgia Alumni Association as one of the top 100 fastest-growing businesses owned or operated by UGA alumni for the second year in a row. The announcement was made at the 7th annual Bulldog 100 Celebration on January 30th held in Atlanta. 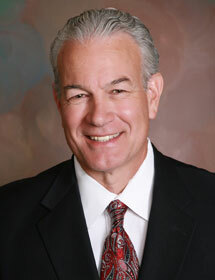 The Bone & Joint Institute was established in Jesup in 2010 by Kenerly, an Orthopaedic Surgeon and 1978 UGA graduate. The practice specializes in surgical and nonsurgical treatments of sports-related and traumatic injuries of the musculoskeletal system, and serves 13 counties in South Georgia from four locations. “It’s an honor to be included in the 2016 class of the Bulldog 100. To have Bone & Joint recognized for its strengths in business from an acclaimed institution like UGA two years in a row is very rewarding,” said Kenerly. 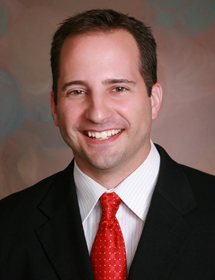 November 3, 2015 – JESUP, GA – The Bone & Joint Institute of South Georgia is proud to announce Dr. J. Matthew Valosen as a partner in the practice. “BJI has been growing by leaps and bounds over the past five years. We’re now in 4 markets and busier than ever. This is the perfect time for Dr. Valosen to become a partner and we couldn’t be happier and more positive about the future,” said Dr J. Lex Kenerly, founding partner of BJI. BJI has been serving Southeast Georgia for over 25 years with offices in Jesup and Baxley. In 2012, the Hinesville office opened, and in 2013 another office was opened in Waycross. Kenerly graduated from UGA in 1978 and went on to earn his Doctor of Medicine from the Medical College of Georgia. Today, he is president of and an orthopedic surgeon at the Bone and Joint Institute of South Georgia, an orthopedic surgery practice and ambulatory center with more than 50 employees. Last year, the business made UGA’s Bulldog 100 list of fastest-growing businesses owned or operated by alumni. Dr. Aragon specializes in the treatment of musculoskeletal complaints, both chronic and sports-related, including meniscus tears, ligament injuries, rotator cuff tears, arthritis, carpel tunnel syndrome, and ankle instability. She uses an arthroscopic approach for the majority of her surgical cases. Aragon brings a wealth of experience to BJI, including five years at Winn Army Community Hospital at Fort Stewart, two years of which she served as chief of the orthopedic surgery service. She was deployed to Afghanistan in 2013 as the only trauma orthopedic surgeon of a forward surgical team. 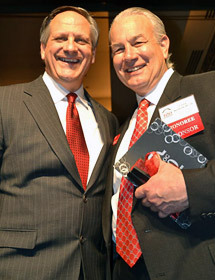 February 18, 2015 – Jesup, GA – The Bone & Joint Institute of South Georgia and owner, Dr. J. Lex Kenerly, were recognized by the University of Georgia Alumni Association as one of the top 100 fastest-growing businesses owned or operated by UGA alumni. The announcement was made at the 6th annual Bulldog 100 Celebration on February 7th held in Atlanta. December 23, 2014 – Jesup, GA – The Bone and Joint Institute of South Georgia attended In the Game magazine’s Annual Southeast Georgia High School Football Awards Banquet as the sponsor of The Academic Player of the Year Award for the 5th consecutive year. The banquet, held at the newly renovated Waycross City Auditorium on December 15th, featured keynote speaker Brian Jordan, former All Star outfielder for the Atlanta Braves. The annual event highlights southeast Georgia players and coaches for excellence in athletics and academics. In addition, one recipient is recognized each year with a Humanitarian Award.